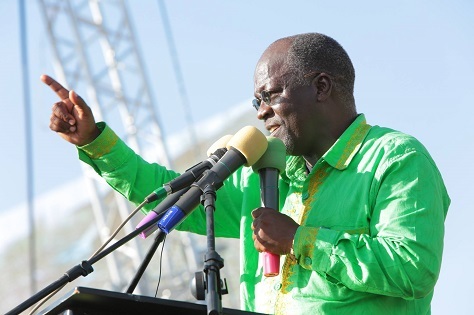 Though it was the most competitive presidential election in the history of democratic Tanzania, the ruling party candidate, public works minister John Magufuli easily won the election last Sunday in results announced earlier today by Tanzania’s elections commission. Magufuli emerged as a dark-horse candidate of the ruling Chama Cha Mapinduzi (CCM, Party of the Revolution) after a contentious fight left former prime minister Edward Lowassa and foreign minister Bernard Membe (the favorite of outgoing president Jakaya Kikwete) both precluded from contention. Earlier this summer, the spurned Lowassa decided instead to depart for the opposition camp, becoming the presidential challenger for a coalition that includes Chama Cha Demokrasia na Maendeleo (popularly known simply as Chadema), a liberal opposition party formed in 1992. Tanzania’s electoral commission announced that Magufuli won 58.46% of the vote while Lowassa won just 39.97%. The CCF is also expected to win a majority of the 357 seats in Tanzania’s Bunge, the unicameral parliament. Lowassa, who served as Kikwete’s prime minister from 2005 to 2008, left office in scandal and mired under allegations of corruption. While his political power and support base made him the most potent possible challenger for Chadema, it also tarred the previously anti-corruption opposition party. No longer would Chadema necessarily be the party of change nor would it be the party of transparency and good government, and its 2010 presidential candidate Wilbrod Slaa left the party and endorsed Magufuli. 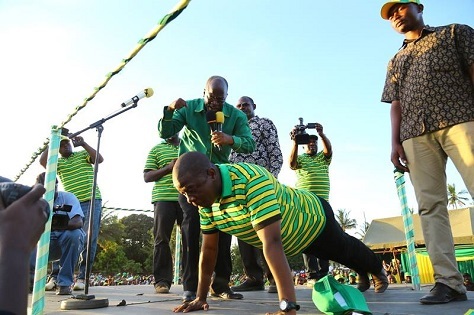 Magufuli, age 55, swatted away criticisms of old age and ill health, at one point doing push-ups on the campaign trail to demonstrate his vigor. The showdown between him and Lowassa was among the most contested election campaigns in the country’s history, with both candidates vying for an electorate that’s one of the world’s youngest — 50% of the population is between the ages of 18 and 32.